A recent ALIS poll suggests that over half of the population is considering a return to school. Forty percent of poll participants voted that they were looking for a change in career, 10% stated they were in between jobs, while 21% said they wanted to return to school to advance their career. This is not surprising information. I myself have experienced a career change and boy is it a breath of fresh air! I used to have a conventional career. And while it paid well and offered great benefits, there was something missing. I didn’t look forward to going into work, it didn’t excite me, it didn’t fit me. It was difficult to make the change. After all, I had gone to university, spent money and time on a degree, spent years building on a career that I thought I wanted when I was a teen, developed friendships at work, etc. On top of that, I had adult responsibilities- like paying rent, bills, student loans, and buying groceries and gas- you know what I’m talking about. I thought I was stuck. But I realized, it’s true what they say- do what you love and love what you do, and then the money follows. If you are an individual who enjoys hands-on work, physical activity, learning about the body, kinesiology, muscle systems, and ways to augment physical function, a career in Massage Therapy may be for you! Massage therapists administer massage therapy to relieve pain and symptoms of stress after assessing a client’s condition to rehabilitate the physical function of the body. They work in many environments and can have flexible schedules. Massage therapists can be self-employed or work at spas, clinics, fitness centers, and alongside doctors, chiropractors, or other practitioners. They have the option to make their own schedule depending on the source of employment. Massage therapy is an excellent career option with an easy transitional period thanks to MH Vicars School of Massage Therapy. MH Vicars offers a full time 2200-hr independent study program where you come in for 4 days/month! You can choose to come in during one weekend of the month from Thursday to Sunday 9-5 or every Tuesday 9-5 throughout your program. This school is designed for mature students who are already working and seeking a change in career. Unlike other provinces, Massage therapy is a self-regulated industry in Alberta, meaning that Alberta has not regulated Massage Therapy and therefore schools are not required by law to include standard practices in their curriculums. It is professional associations that seem to dictate the future of massage therapy in Alberta for now, and currently, they are stating 2200 hours is the requirement for insurance billing. When you get your diploma from MH Vicars, you can have peace of mind knowing that your education will be more easily transferrable to other provinces with professional regulation (British Columbia, Ontario, Newfoundland, and New Brunswick) by the Canadian Consortium of Massage Therapy Regulators (CCMTR), in addition to meeting the requirements of the professional associations in Alberta. Best of all, all students are eligible for student loans and grants. So whether Massage Therapy is your Plan A or your Plan B, MH Vicars makes your massage therapy career attainable and affordable! 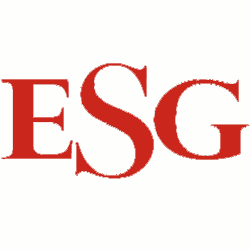 Contact ESG to learn more.